Distinctive LMNts: Want a shiny new apple? Well, Snow White did and look where it got her! 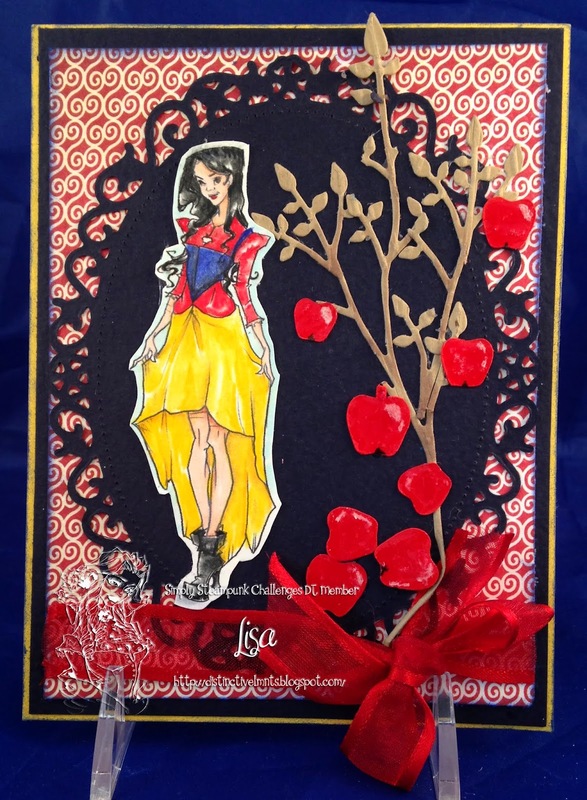 Continuing with showing the newest Fairy Tales at Simply Steampunk challenges this is my showing of SNOW WHITE from Simply Betty Stamps.While you check out the new Fairy Tales digis, enter the newest challenge ,IT'S A FUN ONE. When it's featured on such a gorgeous card with such awesome colouring how could you not want one of these shiny new apples!